Seems like I've been talking about a lot of different type of weather the last two days. Thunderstorms, tornadoes, snow and wind. I want to take a minute and talk about the wind for Thursday. It is going to be strong. In the St. Louis area they could be sustained 30-35mph with gusts to 45-50mph tomorrow afternoon. Indianapolis they could be 30-40mph with gusts to 50mph. 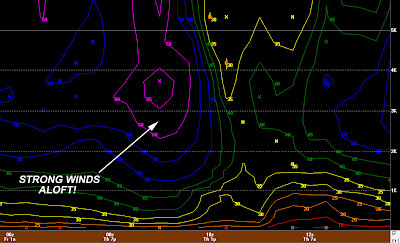 Notice the area pointed marked with the "Strong Winds Aloft!" arrow. 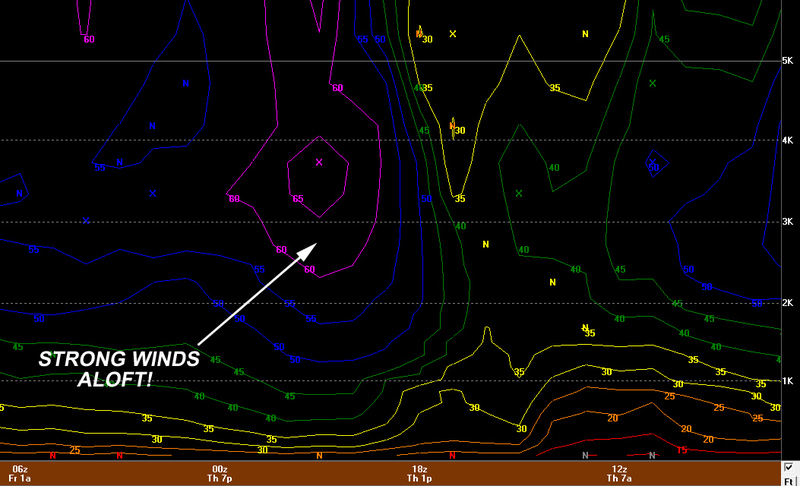 Those are winds that will be 70-75 mph 2,300 feet above the ground. Go lower in the atmosphere and they are 46mph at 500 feet. That is pretty close to the surface. There will be times that we can mix down some of the stronger winds aloft. 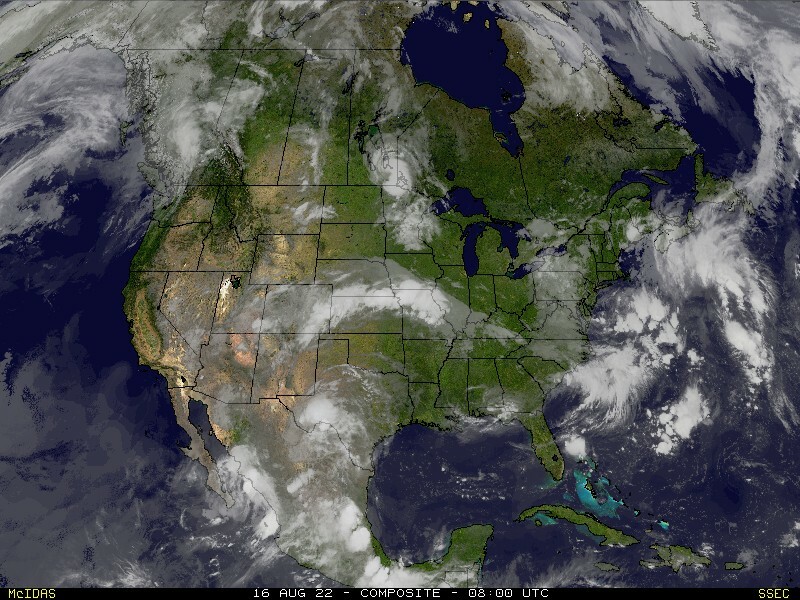 That is why there has been talk of strong winds in the Midwest tomorrow. Here is another graphic I want to show you. This is off the high resolution 4km RPM computer model. I have used this product several times in the past with some success (ice storm 2009 in southeast Missouri and western Kentucky). This uses alogrithms developed for energy companies and energy traders. 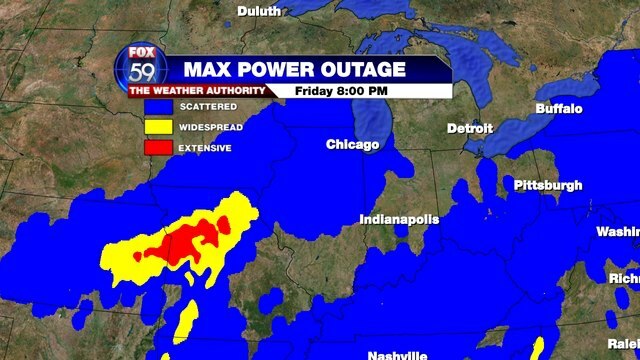 This shows potential power outage areas due to weather elements. This can caused be a mixture of wind, snow, hurricane, ice, etc. Special thanks to Brian Wilkes at FOX59 in Indianapolis for passing this along. 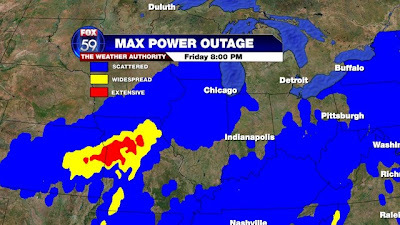 Take a look over Missouri and you will see that the model is indicating "widespread" to "extensive" power outages over north central and west central Missouri to northeast Missouri. It also shows "scattered" power outages over parts of southeast Missouri, extreme southern Illinois and all of western Kentucky. If you live in any of these areas, this might be something you have to deal with. That being said, this is definitely not a guarantee. The model can be wrong and sometimes is. Also, don't get too hung up on the lowest threshold "scattered". This means there could be a "heightened" threat.